Erica believes in a tailored approach with each client to create specific goals based on each individual’s personal objectives. 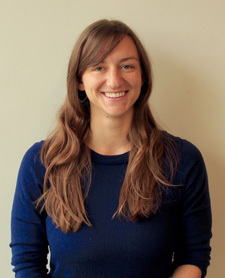 Her approach to physiotherapy includes a combination of hands-on techniques, education, and home exercise prescription. Erica achieved her undergraduate degree in Biomechanical Engineering at Queen’s University in 2015 while also completing an internship with a medical device company. She then spent a year working with a research team in Boston to develop a soft exosuit and a prophylactic knee brace. In 2016, she returned home to Toronto, where she attended the University of Toronto for her Master of Science in Physical Therapy. Erica is always looking to continue learning and acquiring new skills. She is looking forward to taking more courses in the future to improve her knowledge base and to better help her clients. Erica has always enjoyed staying active and understands how disruptive an injury can be to one’s daily routine. She was a competitive dancer through elementary and high school. In university, she developed a passion for triathlon and continues to train for various multisport events. Erica wants to understand what activities matter to you and help you get back to them!